What ARE The 3rd and 4th Dimensions? Understanding the aspects and rules of 3D and 4D allows us to better choose where we want to live. Many of us know or intuitively feel that we are transitioning form the third-dimensional reality, passing through the fourth and are on our way to the fifth dimension. Dimensions are not places but instead levels of consciousness, each with its own characteristics and ways of thinking and feeling. The third dimension is very dense and operates within a specific set of rules and structures that hold many vibrations of thought and emotion. One of those vibrations is known as fear. In our spiritual quest to fully explore All-That-Is we went deeper and deeper into density choosing to incarnate many times upon the Earth. To maximize our third-dimensional experience we purposely left behind Higher Aspects of ourselves and lost our sense of connections to the Creator. In this perceived sense of separation we lost our way and, like abandoned children, we begin to experience the energy we call fear. This state of fear created rigidity and made it more difficult for us to move freely. As we continued to passionately play in this rigid third dimension we began to take on many uncomfortable attributes such as dis-ease, victim, guilt, lack and resistance. We chose to do all this in order to know ourselves better, and in spite of what we may think, we have been very successful at playing in this third-dimensional game. Many who cling to fear have created a default system which gives them a false sense of security. "If I just go inside my house and close the door, I'll be safe". This reaction has closed down our ability to expand and grow, re-merge with our Soul, and re-member our Higher Selves. Too many humans have stopped living their passion as they argue for their limitations within a web of fear. Let's explore the composition of this third dimensional world we live in. If we look carefully, we can see three structures of this playing field or "game board". Understanding these will allow our transition through the Grand Shift of Consciousness to occur more comfortably. 1 - Duality. The purpose of duality has been to help us learn how to walk in balance while experiencing contrast. Our intention was to have experiences without becoming affected by them. Living within the field of duality was simply meant to provide us with a broad array of choices and opportunities to "Know Ourselves." To assist in this adventure, Creator made the Law of Attraction available. Like a compass, this unwavering Law reliably shows us where we are and what we are experiencing at all times. The Law of Attraction simply says "what you place your attention is what will be given to you". This also means that "what we resist will persist". As we resisted our fears, a greater range of duality or polarity came about-good and bad, right and wrong, should and shouldn't-and with our attention on the uncomfortable experiences, these fears magnified. We resisted this discomfort, submerging many of our fears in our unconscious mind where we would not have to look at them or deal with them (we hoped). But the Law of Attraction doesn't just bring us the "good stuff, it responds to the loudest feelings and thoughts we broadcast those holding the greatest emotional charge) whether they are conscious or unconscious, comfortable or uncomfortable, desired or unwanted. 2 - Reactionary Present-Time. As we learned fear, we also began to project experiences which did not feel good a moment ago (past) out in front of us (future) thinking "I hope this never happens to me again", and thus we began to create Time. Third-dimensional time was not created as a straight line of events with a beginning, middle and end. It was actually a time-loop consisting of past and future, with a single insertion point known as the "present moment" where we make new choices based on past experiences and future desires. By reacting to situations from fear, we began making fear-based choices. Our decisions about the future were based upon the past. Our 3-D life became a series of reactionary experiences founded in resisting rather than allowing, thereby dragging the past with us into the future. And because the Universe adores us, the Law of Attraction will never object to, or challenge, what we place our attention on; it simply delivers what we ask for. Most of us waste a great deal of our energy ensnared in an endless cycle where our past haunts our future and our future echoes our past in a continuous 3-D Time loop. Also built into the structure of 3-D Time is a wonderful mechanism that can keep us out of troubles in this adventure. A buffer or lag-time gives us the chance to reconsider the consequences of our actions, reactions, thought and emotions before we react and create something we might have to clean up or apologize for afterwards. This built-in structure allows us a moment of Choice. During the Shift this buffer is getting shorter and things are manifesting faster than ever. 3 - The Rational Mind. Our analytical, reasoning thought process is know as the rational mind. When we came to play in this adventure we disconnected 90% of our available awareness in order to have this experience. The development of the rational mind served us well in this environment. Its purpose is to keep us safe and fit in. But due to fear and misuse, the rational mind operates more in limitation than in possibility than opportunity. Because we have given assignments to the mind that it was not designed for, our awareness and spiritual ranges of choice have greatly diminished. While the logical mind is a wonderful tool for measuring, comparing and storing information, it only knows what it knows and does not know what it does not know. For thousands of years the rational mind has kept humanity tightly focused in the three-dimensional realm. This is now changing. These three energetic structures are intricately woven into the fabric of the third-dimensional matrix. If you focus on only one of these the other two intensify, creating more distraction and more pressure until you reset your focus and allow them to come back into balance. By becoming aware of the underlying templates from which the third dimension is born, we can begin to reconstruct and remember a significant part of ourselves, freeing us to move beyond the limits of the third dimension and begin to experience the possibilities of the fourth and fifth. Now let's explore the elements of the fourth dimension. 1 - Eternal Present-Time. Where 3-D time is a charged, Reactionary Present-Time, 4-D time is the Eternal Present-Time. NOW. In 4-D the past is simply history without emotional charge and the future is an opportunity waiting to be fashioned in this now moment through choice. Yesterday has no bearing on tomorrow. The eternal present is all there is. We can plan for a future event using information gathered from the past, but decisions are conscious choices that are made in the present moment. What we think is what we will experience in the moment. There is no lag-time in 4-D. What you think about will manifest so be mindful of what you think! 2 - Choice. In the fourth dimension, "choice" replaces "reaction". Reaction is an emotional 3-D response, whereas choice provides flexibility. Flexibility creates expanded opportunity and a grater ability to combine possibilities to produce a variety of outcomes. In the fourth dimension you take back your power to choose. 3 - Paradox. In 4-D the past and future become points of reference or information and have no emotional attachments. What was true a moment ago is not necessarily true in this present moment and what was false many not necessarily be false any longer. This opens up more possibilities to experience, releases judgments, and increases our ability to allow. 4- Alignment/Balance. In the fourth dimension we are constantly moving towards balance and re-alignment. This structure is very open, entertaining and allowing of all possibilities. Well-being, Beauty, the Inner Smile, Appreciation, and Love are options in 4-D. Whereas Fear is a choice which will place us back in 3-D reaction and limitation. Our spiritual journey includes the movement toward a higher, lighter way of life. This is a life of community, cooperation and co-creation in 4-D while we walk in the density of 3-D. 5-D opportunities are not far behind. This is remembering how to be in the world but of the world. This is remembering who you came here to be. Excellent overview. Thank you, Jim. Very nice to bring this topic up. I might add what resonated with me most in my world is: 3rd Dimension is Earth. 4th Dimension is Heaven and 5th Dimension is what we are creating now. MORE then heaven on earth, heaven AND earth coming together to create something beyond either. That's a useful way to see it, Cyndy. It makes sense. Someone described 4D as the spiritual overlay to 3D, which also resonates with me, like form in its finer vibrations. Someone else (Owen Waters maybe?) says 4D is the dimension of time. I hadn't quite got my head around that one until I read Jim's article today, but I can see how they may be similar concepts. You guys stay warm and safe up there. The Polar Vortex begat offspring! Awesome, awesome and awesome. Thank you for reaffirming my beliefs and for new information that will help me create so much better. 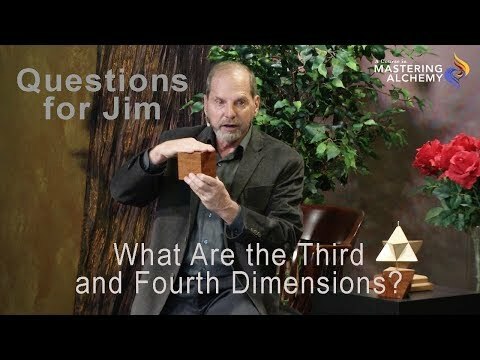 Jim Self is very good at explaining the difference between 3D and 4D but he doesn't have much at all to say about 5D does he? Because he doesn't know. And unfortunately, FAR too many lightworkers don't know either. Many lightworkers avoid the "A" word, ASCENSION, like the plague. That's far too big and bold a concept for their 4D limited being. Limit. Now THAT is not something that belongs in 5D. 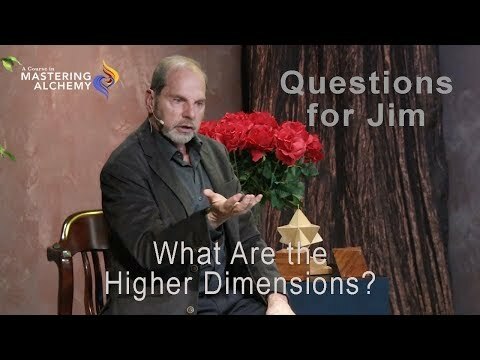 But Jim did say one thing profound about 5D - remembering why you came here, which, again, far too many lightworkers have yet to wake up to. This planet is almost ascended and yet still many of those who came to assist haven't even awakened to that. They could have been helping with the lifting and instead became part of the "weight" and also the "wait." The old line goes - if you're one step ahead you're a genius, but if you're two steps ahead you're a crackpot. We crackpots are very tired and most definitely exhausted from attempting to awaken the geniuses and get them "on assignment." Instead of the "genius" lightworkers helping with what they've come for, we crackpots have had to create many levels of 4D holograms for them to reside in after Gaia and those who are now ASCENSION-ready have ascended. The 4D level people have resulted in as much OR MORE work than 3D level folk for those of us who have been on ASCENSION for many years. Many lightworkers are still to this day looking for 3D level solutions to a 3D level world that cannot be repaired at a 3D level. Everyone talking of radiation disasters. Even if there were no "disasters", nuclear power creates waste that has a half life of hundreds of thousands of years. There is no 3D level container that will last any where's near that long and that is just ONE topic. As Einstein said, you cannot solve a problem at the same level that you created it. But son of a gun if we can get the lightworkers - those who came to raise this planet, those who know too much to claim ignorance - to wake up already and get ON TASK. As another old line goes, you're either part of the problem or part of the solution - which one are you? So many lightworkers are talking Love and Unity and yet they still fail to understand that those two things start with SELF (and I'm not talking JIM self, but YOUR self). But accomplishing self-love and self-unity requires work that still too many shy away from. Ah, poor dears. It requires HEALING. And yep, that's healing YOURSELF. You cannot truly assist in healing your world until you have healed yourself. But lightworkers want to jump right over self-love and into brotherly love. Byron Katie had nailed it when she said that she was never a spiritual person but always lived by "love thy neighbor as thyself." Problem was - she didn't used to love herself. And so many lightworkers talking Unity thinking it's all about cooperation with others when they have yet to be healed, whole, integrated WITHIN THEMSELVES. They still haven't even connected to their own Divine Self and yet think they can pull off unity with their neighbor without self-unity. Yep, healing may not be fun, but it's even less fun if you resist it, fight it tooth and nail. Connection to one's own Divine Self and with God and Gaia will do you far more good, give you much better guidance than any amount of "channeled" info will and following channeled info, ESPECIALLY without engaging some discernment skills, is something far too many lightworkers do. The lightworker community should be MUCH further along than they are and need to kick themselves in a the back side and get a move along. Enough with the baby steps. How do I know that's possible? I've done it. So have others. And who the heck are we? We're nobody. We're not Super Man. We're just folks, just like everyone else and yet we GOT ON ASSIGNMENT with commitment, with diligence. We availed ourselves to heal a planet BY HEALING OURSELVES FIRST. The way is not only blazed folks, it is PAVED. Don't just pay it lip service, walk that paved path!